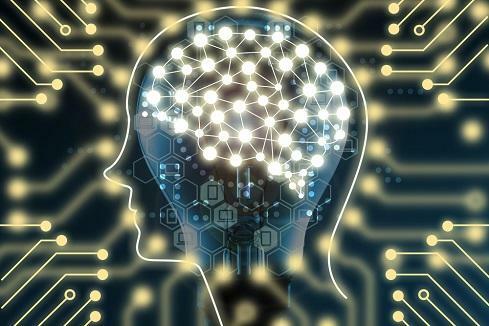 Even as enterprises explore how artificial intelligence can help their organizations and people discuss the relationship between humans and software, automated machine learning tools continue to simplify deployment across all layers. Staggering predictions were shared at the 2017 Gartner Symposium earlier this month. By 2021 Gartner predicts, artificial intelligence augmentation will generate $2.9 trillion in business value and recover 6.2 billion hours of worker productivity. It is no wonder why companies are moving swiftly to embrace these emerging technologies to assist people and attain a competitive advantage. Automated machine learning represents a truly transformational opportunity. Next generation business solutions powered by automated machine learning are an agent of change. Automated machine learning helps organizations better serve customers, improve business processes, solve complex problems and optimize outcomes when and where decisions are made. The goal isn’t necessarily to replace humans – it is to help them. Human resistance to change and decision automation is reasonable and rife. To ease fears and skepticism, start small with a well-known decision process that is not overly complex. Let the machine generate predictions and task humans with comparing actual results. 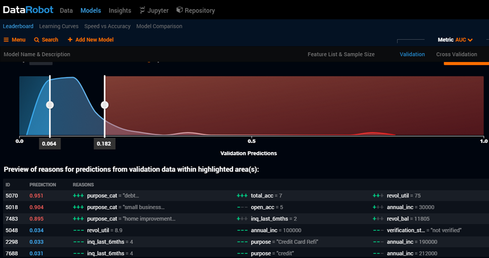 In addition to validating predictions, delve into how the machine makes predictions. Deciphering the secret sauce of black-box machine learning used to be challenging if it was at all possible. That problem is beginning to abate. Modern machine learning solutions today are becoming more transparent due to increased legislation such as the General Data Protection Regulation (GDPR). Innovations in this space include visibility into predictive model designs, data transformation steps, applied algorithms and triggered prediction data values. Revealing how machines make automated decisions fosters human trust and adoption. Automated decision rules do not operate in isolation. Even though solutions such as DataRobot, H2O.ai Driverless AI, Tellmeplus, or open source auto-sklearn toolkit are simplifying the machine learning process with automation, humans are still essential. Machine learning, even when automated, still requires human evaluation, tuning, and monitoring. As these solutions interact with subject matter experts, the beauty of the human mind is combined with the amazing power of automated artificial intelligence. According to Internet of Things (IoT) subject matter expert John Soldatos, “Achieving optimal results when designing an intelligent business is not only a matter of deploying automated machine learning, it also requires understanding multi-layer intelligence.” Typically, organizations deploy automated machine learning technologies at one or more layers in the field, on the edge or in the cloud. Field intelligence is used with smart machines, smart wearables and industrial robots where intelligent functions are embedded directly on field devices. With this approach, field devices become smart objects. Automated field-enabled decision processing saves bandwidth and can continue working regardless of network connectivity to enable real-time operations based on previous learning. Despite these benefits, field intelligence can be problematic due to the need to deploy complex data processing in CPU-constrained devices. Edge intelligence describes artificial intelligence functionality that is installed on an edge server that controls one or more field devices. It is suitable for use cases involving fast or close to the field processing, involving multiple devices. Edge intelligence uses data from both smart objects and other passive or semi-passive devices such as sensors, and RFID tags but also from edge computers (such as routers). As a result, edge processing can still discover intelligence patterns in (near) real-time at a low latency and without any essential loss of bandwidth. Cloud intelligence processing takes place in the cloud. It is ideal for the computing of massive datasets. Cloud intelligence typically uses data streams collected from multiple devices and edge servers, enterprise applications, supply chain management systems and other data sources. This level of automated machine learning configuration is commonly used for enterprise operations or industrial plant level management. The best predictive models have little to no organizational value unless they are rapidly operationalized within the business. Deciding optimal placement of deployed automated machine learning functions across the layers of digital business architecture is a key success factor. The good news is that automated intelligence can take place at any layer or multiple layers depending on the timing, latency, bandwidth and processing constraints. Modern automated machine learning tools continue to simplify deployment across all layers. I think you overlook one of the primary reasons for "human in the loop" machine intelligence. Specifically, while having humans trust the machine's results is important, having the CFO trust the machine's results is critical. The CFO is worried about risk: what liability does the company face if the machine is wrong? That risk may be low if the software vendor accepts the liability, but that's rare: many software companies are too small to take on (or insure) the liability, especially for a highly configurable - and highly training-dependent - machine learning system. Having a human make the final call clearly deliniates who has liability... and leaves the CFO no worse off. Also, much has been made about the "black box" of machine learning... some of it, at least, as FUD from traditional rules-based AI vendors whose systems are easier to analyze. But for many applications, the question is not "By what mathematics did the machine come to that conclusion?" Rather, many applications need to know "What inputs drove the machine to that conclusion?" That is, many applications simply need to know what aspects of what is on the other side of the black box are important. The first question comes from rule-based AI... it comes from the need to fix rules that are malfunctioning. The latter question comes from users; in an ML environment, you simply train the system more if it's not getting the answers you want. At MultiModel Research - a machine learning company - the above strongly shapes what we do. We believe systems will eventually learn to have better accuracy than humans - although that will be difficult to demonstrate. Once that happens, the CFO can relax. Until then, we'll insist on a human in the loop!